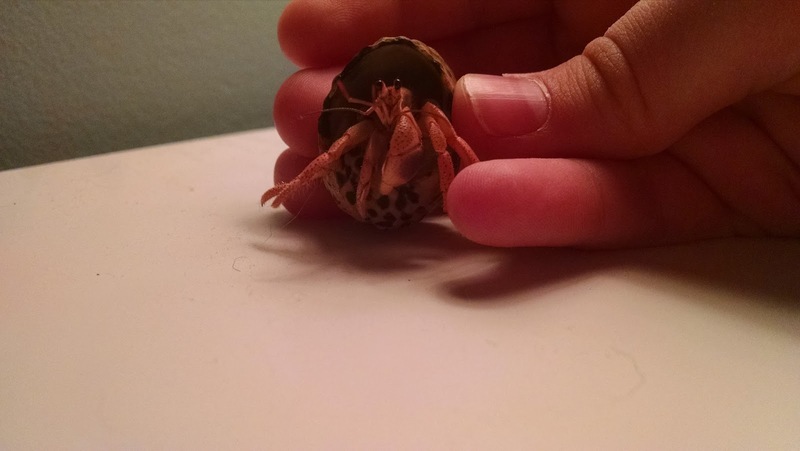 Usually when you get a new hermit crab, or any pet in general, you let it settle in and become more confident with their surroundings before you handle the animal and start doing things with it. However, that isn't the case with Brigadier. If you read yesterday's post, you'll know I just adopted Brigadier, a baby hermit crab. I knew that it probably be best to wait a few days before handling her. 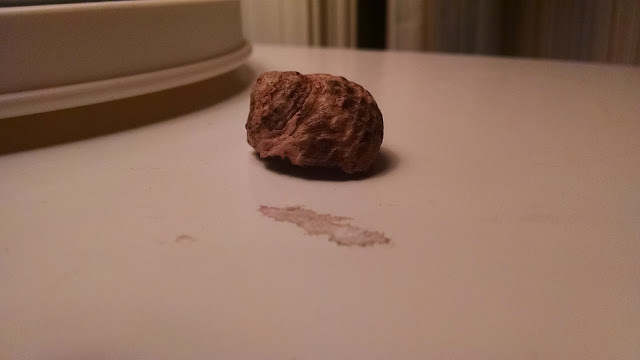 However, I just started handling her last night. She's basically all settled in. She climbs all over my hand and she can't sit still! She plays with my siblings' baby hermits, Penny and Lola, all the time. After all, the reason I chose her was because she immediately came out of her shell to meet me and she was probably the bravest there at the pet store. 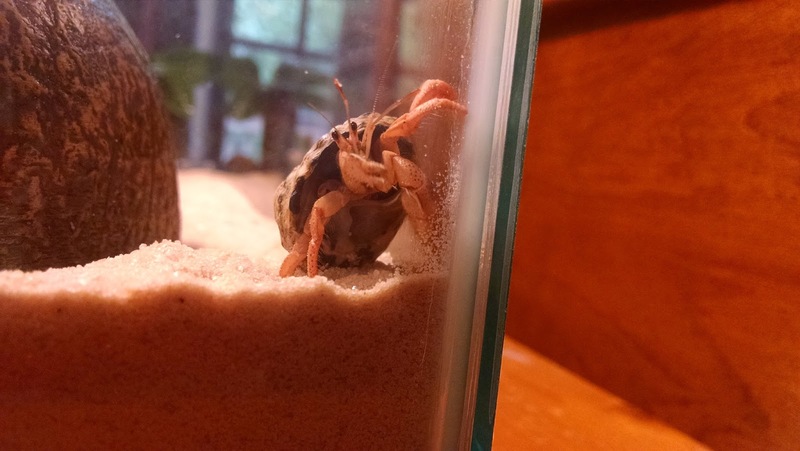 Though I didn't care how old the crab I would adopt was, I decided on baby Brigadier because I can raise her into a social, mature crab, she'll live a long time, and because I can watch her grow and molt into a large crab. As you can tell, Brigadier suits her name well. She's brave and ready for anything!